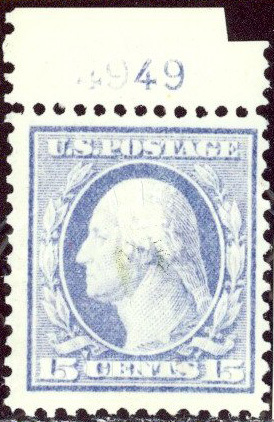 The corner of selvage was removed to test the paper during the certification process. 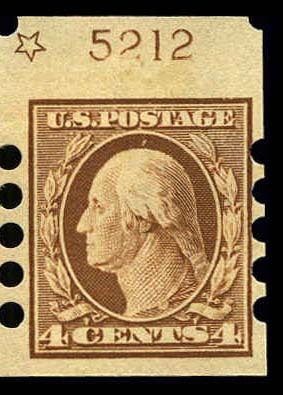 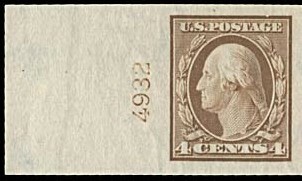 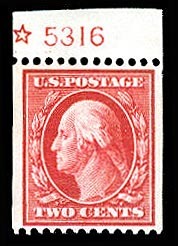 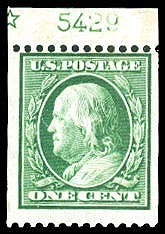 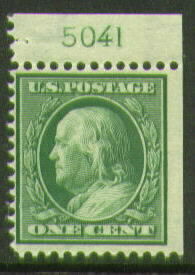 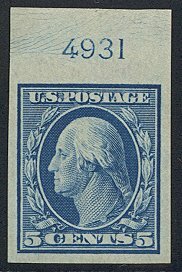 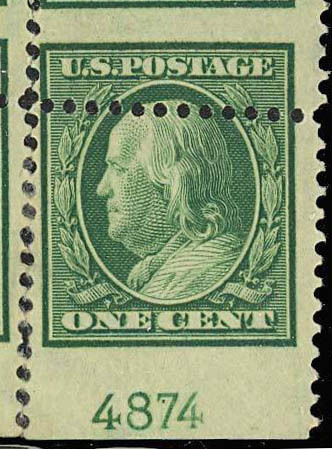 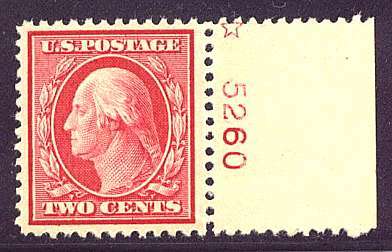 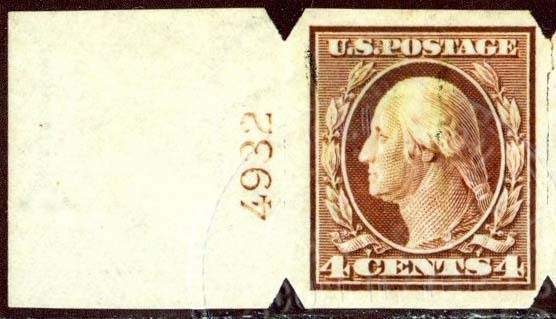 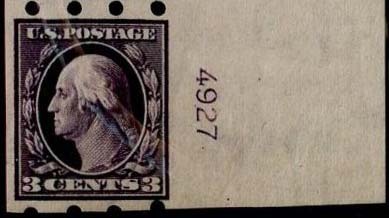 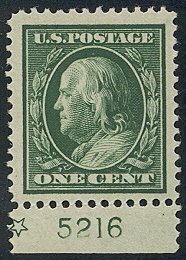 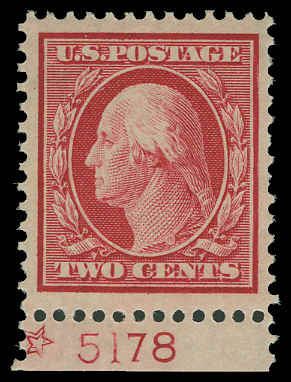 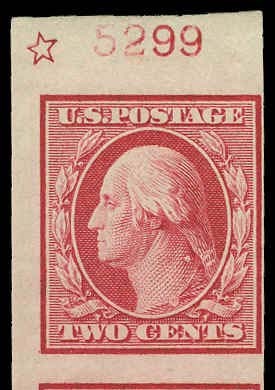 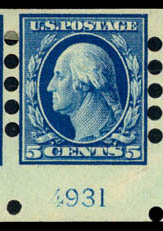 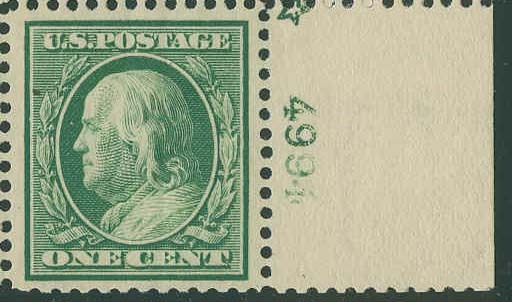 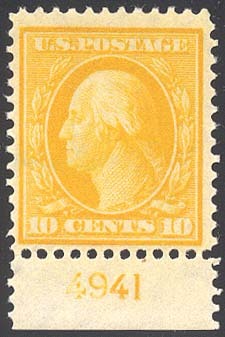 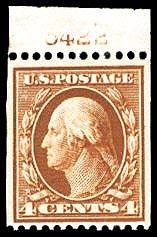 For the 50¢ Franklin perf 12 with double line watermark, see Scott 422, listed with the single line watermark issues..
For the $1 Franklin perf 12 with double line watermark, see Scott 423, listed with the single line watermark issues. 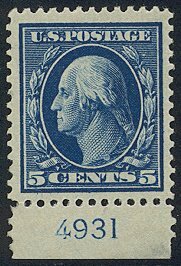 The China clay experimental paper varieties were all the rage for nearly a century. 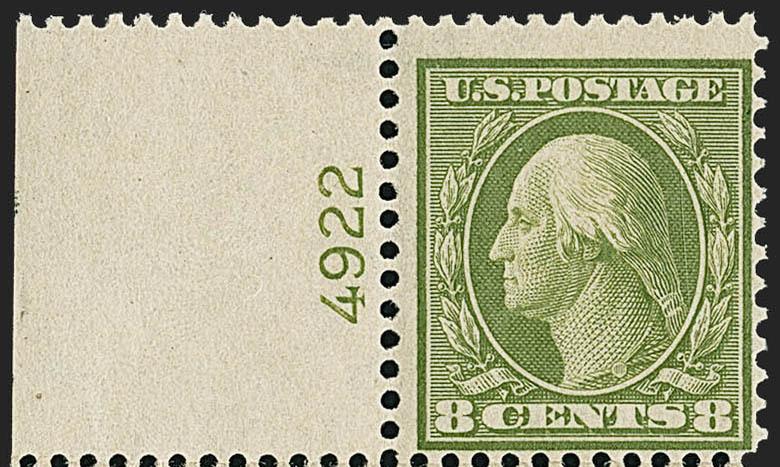 Recent scholarship has proven that there was no such experimental paper in use at the time, and the variety is merely defective paper in varying degrees. 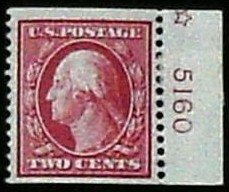 The varieties are no longer listed in catalogues. 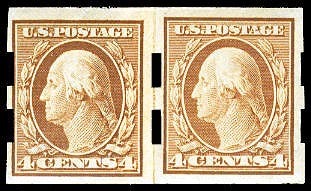 However, here are some plate number single examples that were certified as China clay paper varieties during the time the variety was recognized. 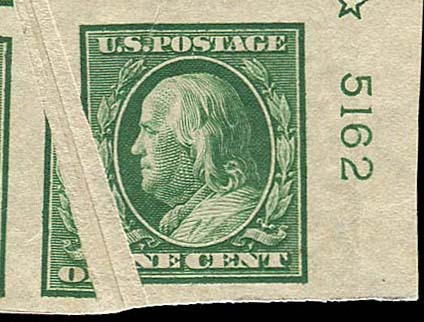 A plate number may exist at the end coil strips that are printed from flat plates. 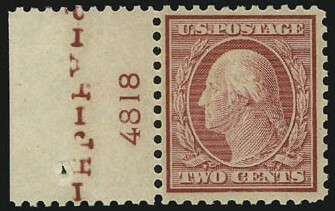 Typically, another strip was originally pasted over from the top or bottom to make up a full coil strip. 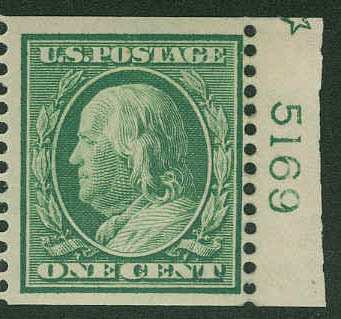 A plate number may exist at the end coil strips that are printed from flat plates. 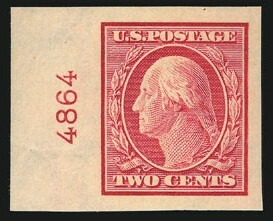 Typically, another strip was originally pasted over from the right end to make up a full coil strip. 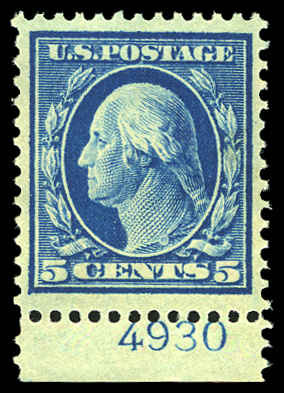 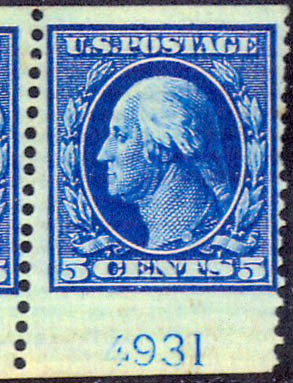 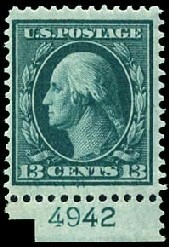 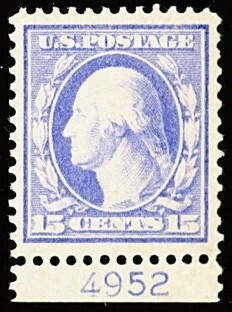 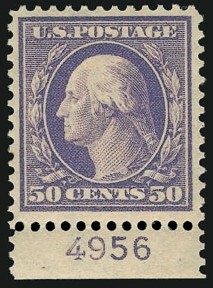 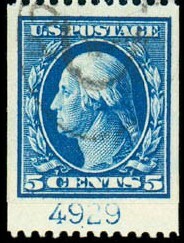 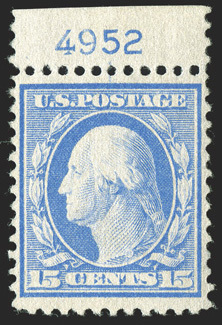 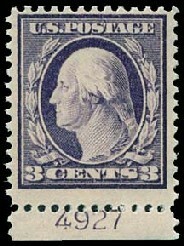 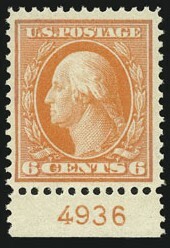 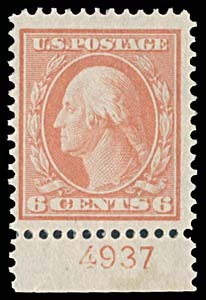 These stamps were printed on a paper with high rag content, known as bluish paper. 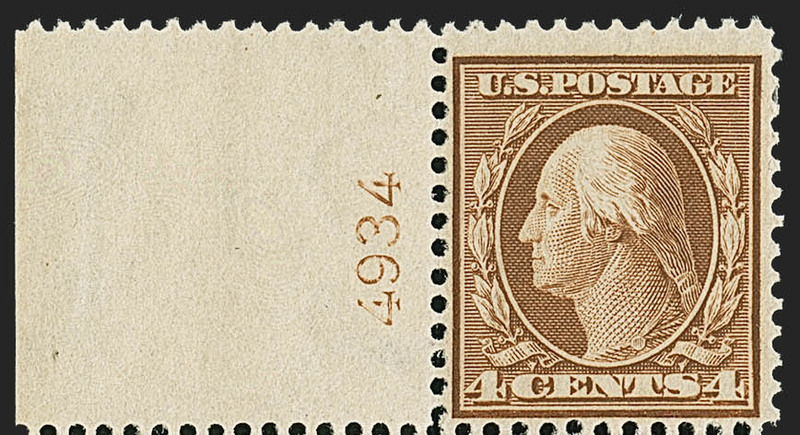 The paper is actually more of a dull gray. 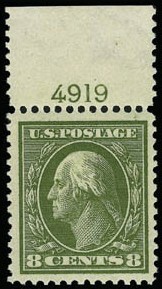 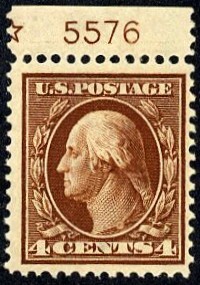 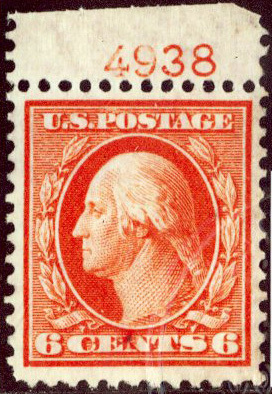 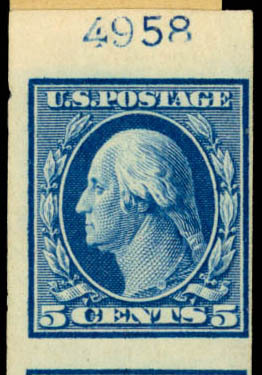 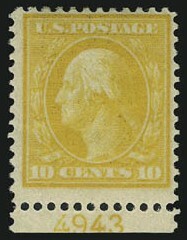 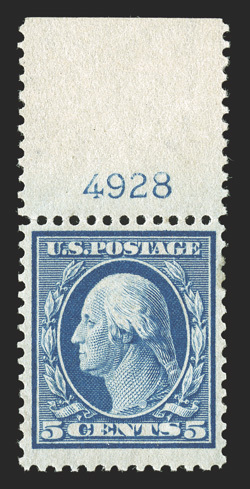 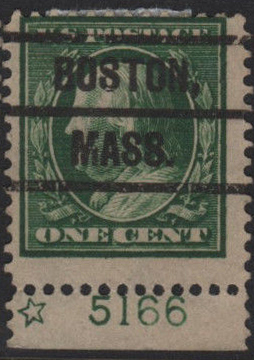 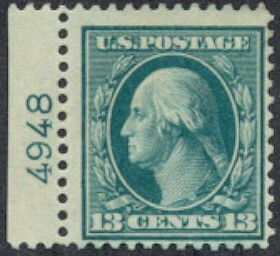 Note that part of the double line watermark can be seen in the selvage (an inverted 'U' of the USPS watermark). 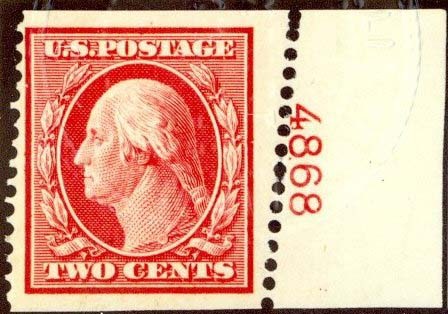 A few leftover panes of the original TWO CENTS design with double-line watermark were perforated with the then-current gauge of 11. 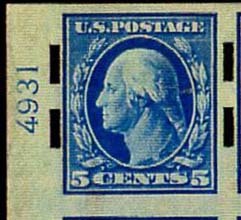 This page last updated July 4, 2017.